Trusted installer alwayas had full control. 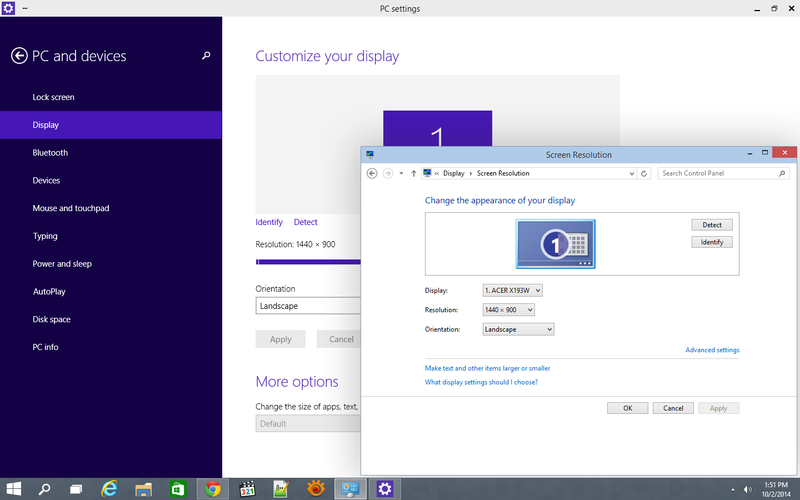 Can the full-screen start menu be re-enabled? I actually prefer the W8 one over the "classic" style for a desktop. The option to run either is good. Start menu can also be resized vertically. Windows 8 apps have a minimum size, so can't be reduced in size to the point a scroll bar would be required. The search button the taskbar is a waste of space, but can't be removed. Thin borders is nice. Is there still a discrete metro settings app that's different to the control panel? Does DANZA actually understand this is a tech preview? As in pre-alpha and not even remotely feature complete and that most of the icons are place holders? Please tell me he does. also if they call my computer 'This PC', do they call the server you are connecting to 'That PC'? Last edited by DaNzA; 3rd October 2014 at 4:24 pm. "also if they call my computer 'This PC', do they call the server you are connecting to 'That PC'?" Did they call other computers "Your Computer" or "Their Computer" in versions where the nomenclature is "My Computer"? Great, now if only there was a check box to remove the start and search icons. "This PC" and "My Computer" are pretty much the same thing; except that "This PC" is more specific, and is less likely to be misinterpreted by the severely tech-illiterate. I'm sure that some people see "My Computer" and expect it to show them their computer when they're using another computer. Looking like its going to be pretty mint, currently downloading the early release. Been using Windows 8.1 for awhile now on my ultrabook and desktop and it's pretty awesome to be honest, there is no reason to be on Windows 7 now. I just installed a mod to have a Windows 10 style Start Menu, 8 is lightweight and speedy doing everything. Also metro is pretty nice on the ultrabook as it's touch screen so can switch between keyboard/mouse or touch when being lazy on the couch. They changed it in 8 which is not now. I think the point of a new operating system is to change stuff. They really are pushing those live tiles aren't they. As long as you can remove them that's ok though. It's nice having dynamic stuff, it got in the way quite often when it was on the desktop full time. XP had 3, Vista had 2, 7 had 1, and 8 had none. Well there was 8.1 Update 1 that added a lot of stuff. I'm intentionally ignoring 8.1 since it's not labelled as a SP. Well there was 8.1 Update 1 that made it the operating system it should have been on release. There are no more service packs, so good luck with waiting for one. So finally had a play with it. Don't know how you guys like a Start Menu. It's ****ing horrible after using metro. Going to give me a kink in my neck. At least there is the option to turn it back. Given many people here said they didn't use it as a typical start menu (and just typed what they wanted), it shouldn't make any difference. Yep do prefer not to have the screen blanked out every time. On the other hand the tiles look hilariously out of place in a little corner menu - I think this will encourage almost everyone to disable them. 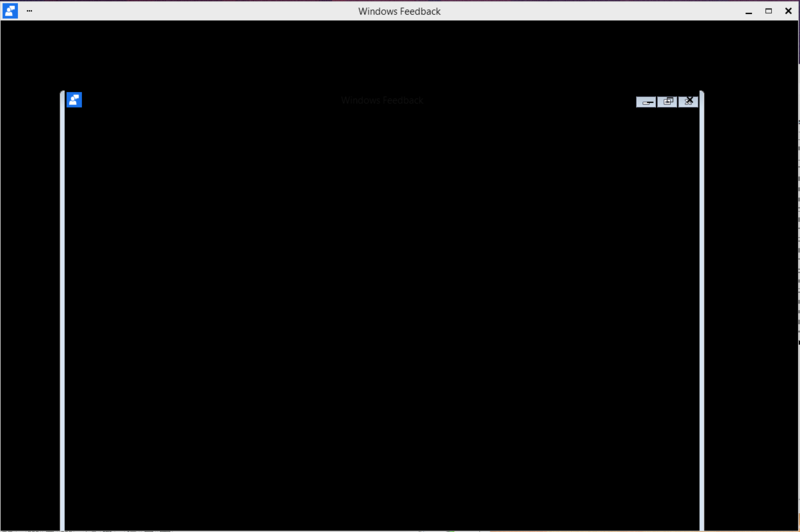 Gave it a quick spin in a VM, minus the whole startmenu thing it seemed pretty much the same. A few small UI tweaks here and there but nothing overly new or exciting. Not sure why they skipped Windows 9 but I'm sure there's a marketing reason. It seems some lazy developers coded "Windows 9", when checking versions for Windows 95 and 98. Not some, just about all. All times are GMT +13. The time now is 5:24 pm.